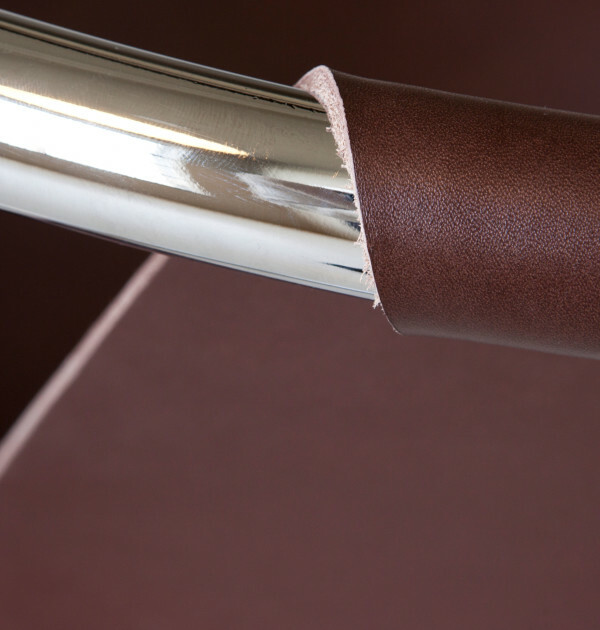 An infinitely curved piece of pipe and a session of one-piece saddle leather: simple and effective. 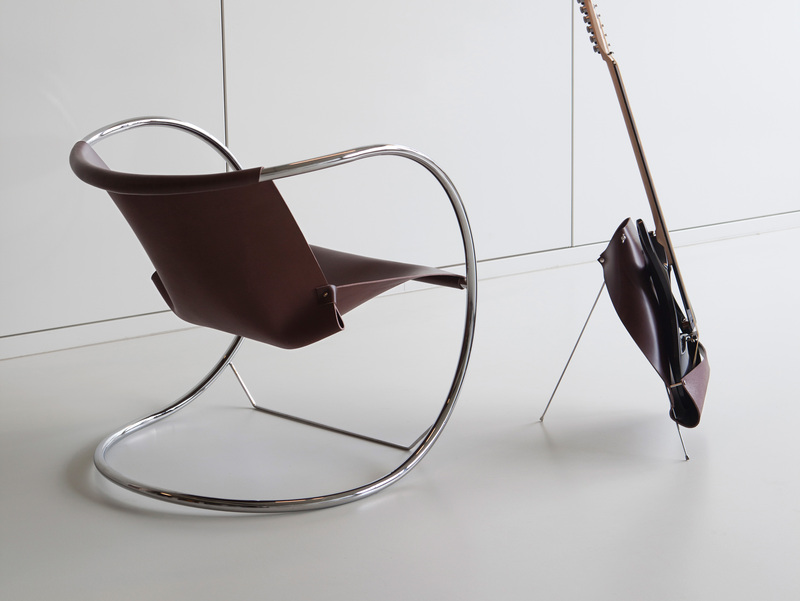 The chair has a surprisingly pleasant lounge seat and may rock. 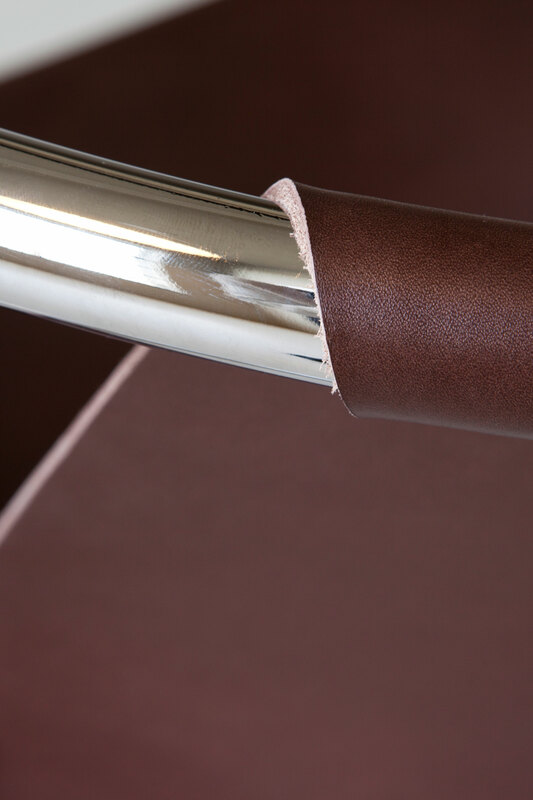 The leather seat is completely hand carved and expertly mounted on the frame. 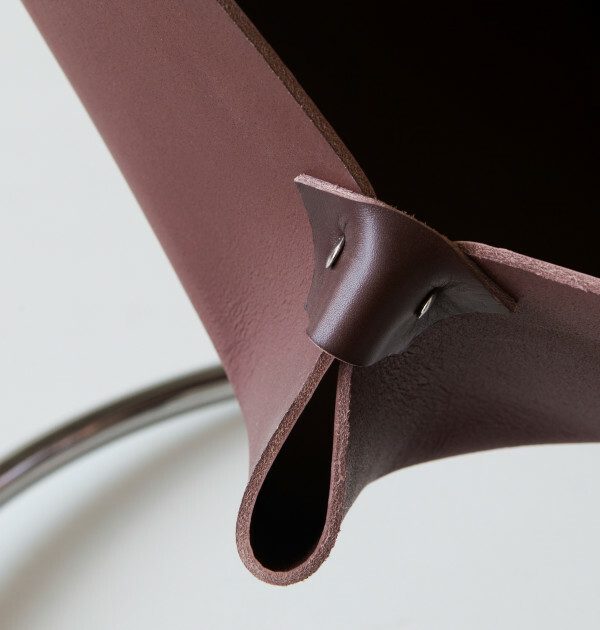 The shell of the seat is adjustable for larger people. 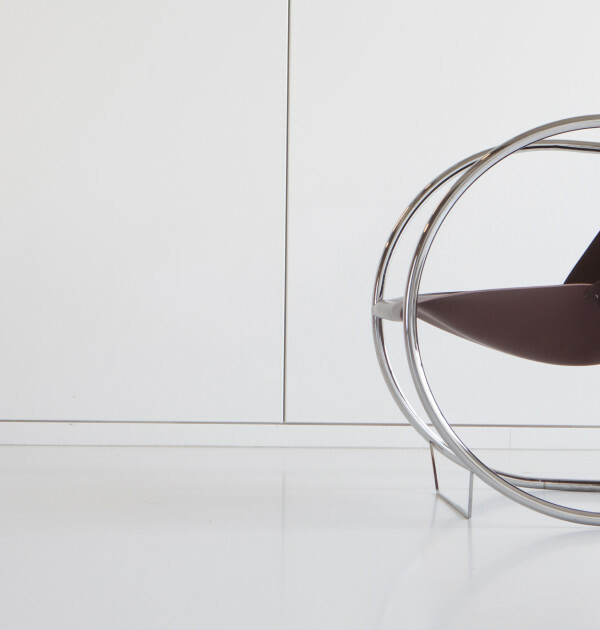 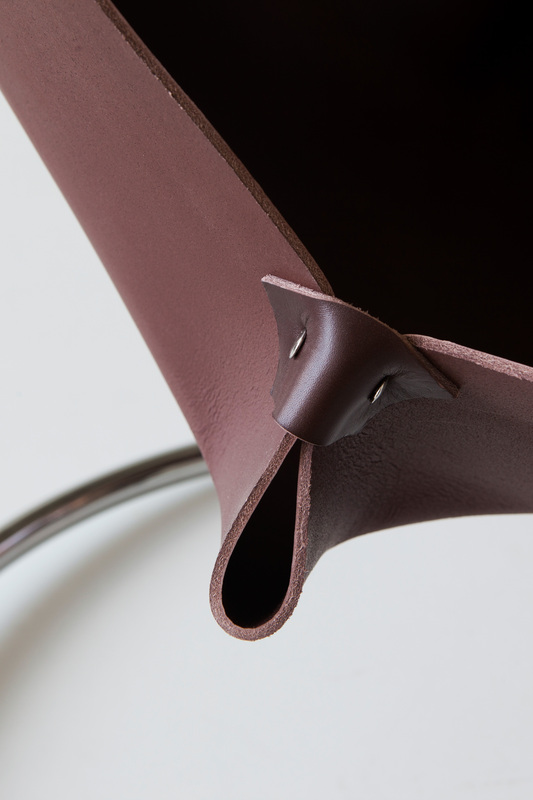 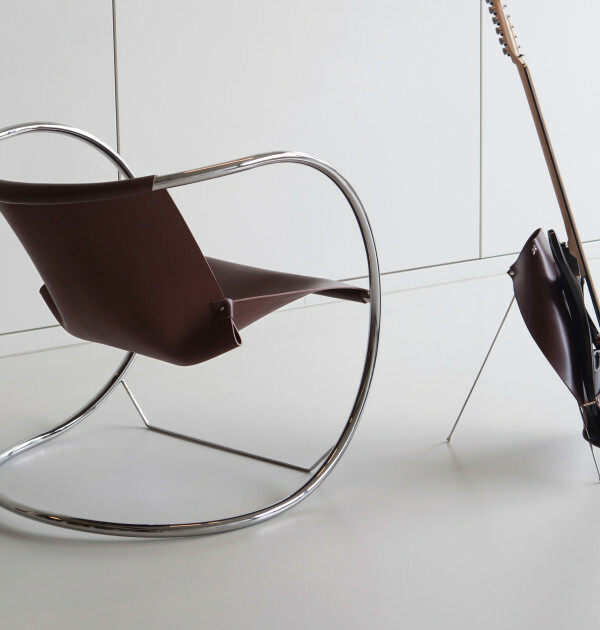 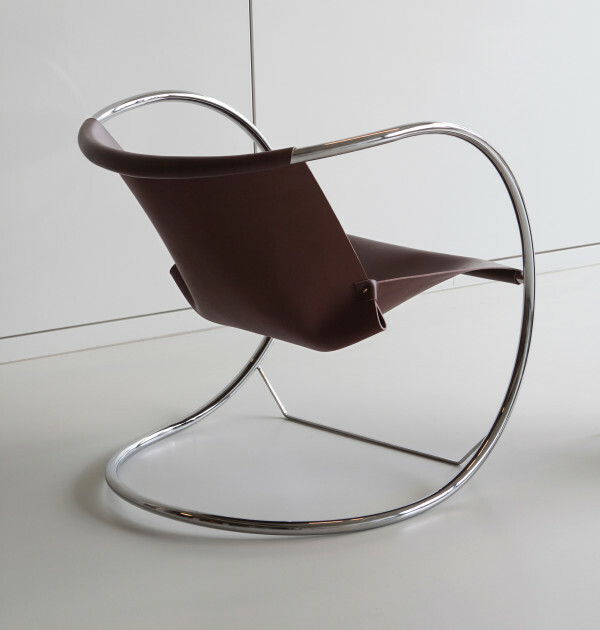 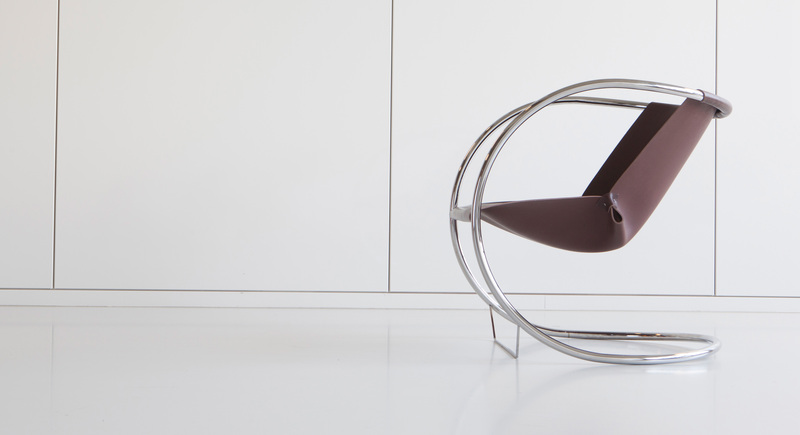 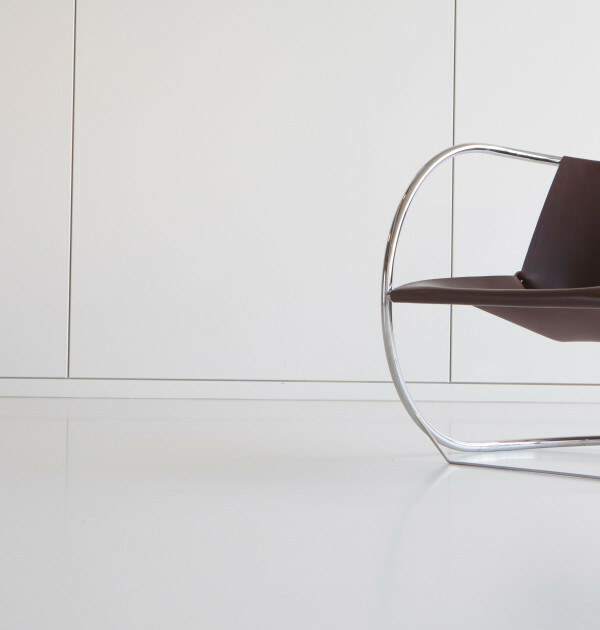 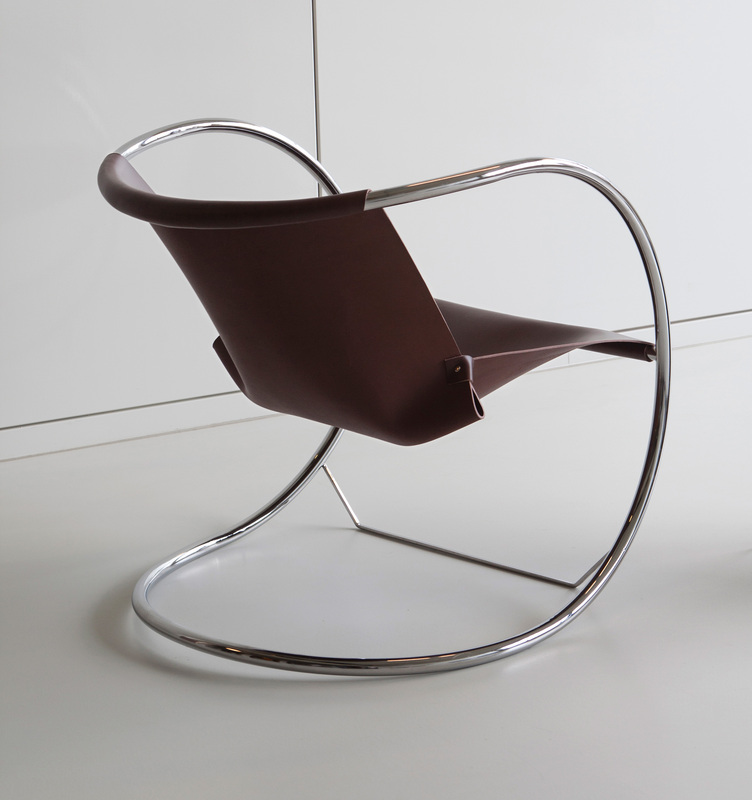 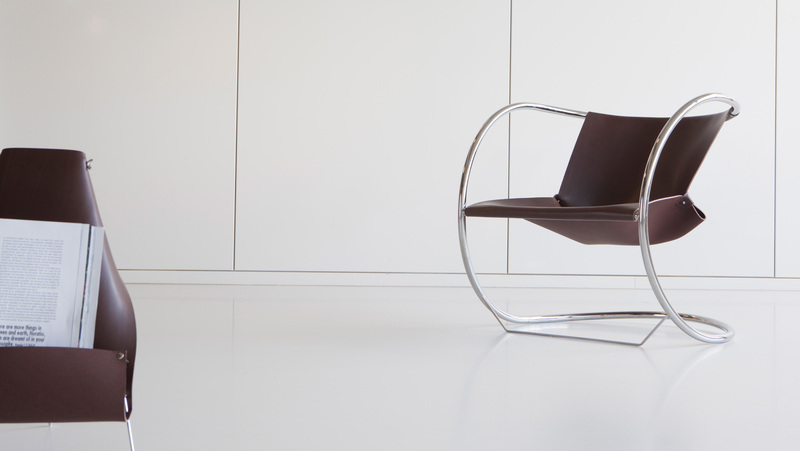 The simplicity in the detailing and the high level of finish give the chair a luxurious look.